Dirk Chatelain of the Omaha World-Herald won first place in the Associated Press Sports Editors 2017 contest in Project Reporting for the 75,000-175,000 circulation category. Chatelain’s winning entry was a series of four stories dubbed “Campus Rush,” which goes deep into the world of club sports, focusing on one specific question: Why are 14- and 15-year-old girl athletes committing to colleges. Chatelain will receive a plaque at the 2018 APSE Summer Conference at the Marriott Hotel Nashville/Vanderbilt University June 17-20. The second- through sixth-place winners will receive frameable certificates. Contest chair John Bednarowski and fellow APSE officers Jeff Rosen, Todd Adams and Robert Gagliardi numbered each entry. Preliminary judges selected a top six, and from there another group of judges ranked the finalists in order from 1 to 6 separately on a secret ballot. Entries were given six points for a first-place vote, five for second, etc. The winner and final rankings are determined by tallying the ballots. A project sheds new light on personalities and issues in the news, including trends and original ideas. It is pre-planned content that is conceived and executed as a larger body of work. What it is not is ongoing coverage of a news event over a period of time where a number of stories are compiled for an entry. For judging purposes, the project is limited to 10 stories. Additional material may be attached and read at the judges’ discretion. 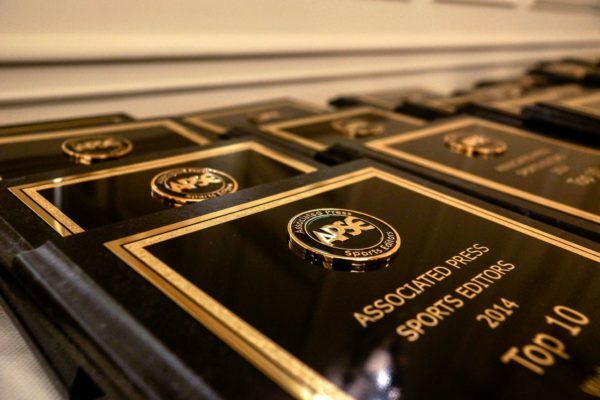 The top 6 are listed below, with links to the writers’ Twitter pages, APSE member websites and winning entries. Competitive drive: At 15, Kalynn Meyer has the talent to be great in three sports. Does she have the time?